Located on Pulau Besar, near Melaka. This tropical island resort, secluded on Tioman Island, is one of the most beautiful locations in Malaysia. Guests will enjoy a scenic location that is endowed with miles of palm-fringed beaches, pristine azure waters, and a myriad of fauna. 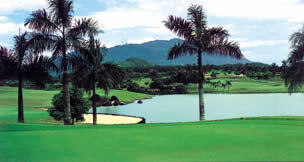 The hotel features modern chalets spread over 200 acres of tropical rainforest and a private 18-hole golf course. Featuring one of the most beautiful beaches, they promise dive enthusiasts a magnificent experience. 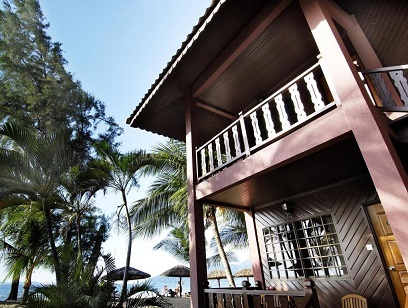 With extravagant ocean life and coral found in the South China Sea, Berjaya Tioman Resort is the ideal tropical retreat for travelers and dive enthusiasts who want a verdant atmosphere amidst unspoiled beaches and a host of on-site facilities. Three par 5, 4, 3 and an island green. 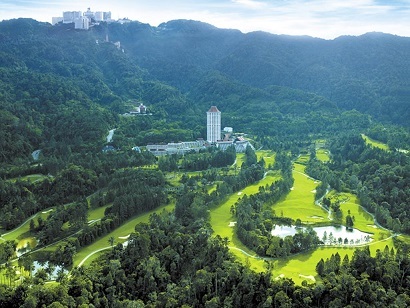 Surrounded by beautiful greenery, Resorts World Genting - Awana Hotel is the country�s highest hotel, located at 3,000 feet above sea level and only 45 minutes from Kuala Lumpur and 90 minutes from KL International Airport. The hotel provides over 400 rooms with 5-star facilities, so you can choose the accommodation of your choice. All the modern rooms are clean and elegant. Set close to nature in the surrounding rainforest, many activities include jungle trekking, stroller�s trail, bird watching, and golfing. Not only that, Resorts World Genting - Awana Hotel is also famous for being the biggest and the first indoor theme park in Malaysia - you will never get bored here. The hotel provides diverse on-site dining venues where you can find everything you want to eat. Resorts World Genting - Awana Hotel provides a tranquil and relaxing stay for all their guests. 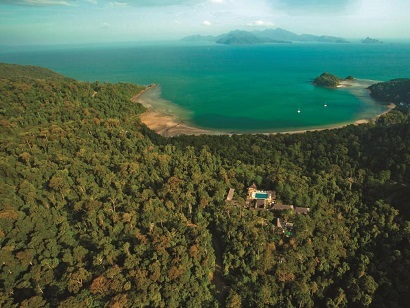 The Datai Langkawi is situated on the northwest tip of the island Langkawi in Malaysia. Located in a 10 million year old rainforest and overlooking the tranquil Datai Bay, awarded by National Geographic as one of the Top 10 beaches worldwide, the iconic property enchants with mesmerizing nature, visionary architecture, luxury and bespoke service. It�s 54 rooms, 40 villas, 16 suites and 14 beach villas offer views of the surrounding nature. The award-winning dining outlets pay homage to the exotic flavors and culinary tradition of the region. 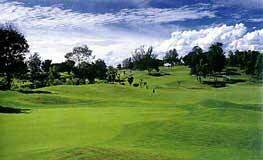 Leisure facilities include two swimming pools; an award-winning spa and Els Club Teluk Datai - the most scenic 18-hole golf course in Southeast Asia designed by the golf legend Ernie Els.